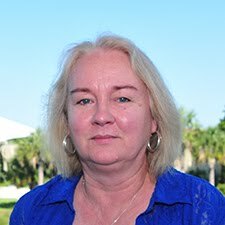 Associate Dean Margret Skaftadottir is available for advising. Please make an appointment with her by calling (727)-864-8363 or emailing skaftami@eckerd.edu. Electronic Check-in. All returning students must complete electronic check-in at the beginning of each term. Click here to learn more. To order an official transcript, contact the Eckerd College Registrar's Office at registrar@eckerd.edu or 727.864.8217. The PEL office offers CLEP, DSST, and timed writing exams to help you complete your degree requirements. Learn more here. Associate Dean Skaftadottir can work with students completing their writing exhibits in person, by email, or over the phone. Please make an appointment with her by calling (727)-864-8363 or emailing skaftami@eckerd.edu. Detailed information about the writing exhibit is available here. Monday, June 25: Writing exhibits are due for summer submission. Please drop them off by 5:30pm in the PEL office. Monday-Thursday, 9 a.m. - 5:30 p.m.